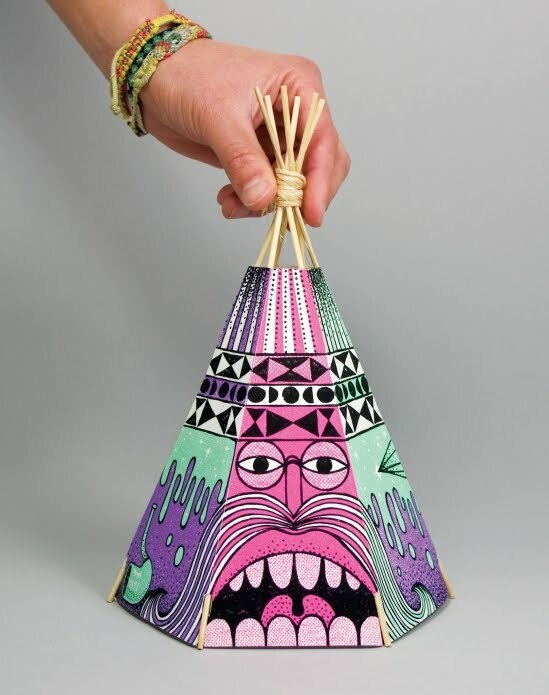 You&I has just added a second Teepee to the You&I store. Four color screenprint on 200lb stock. One colour printed both sides, die-cut, and scored. Includes six sticks, twine, and signed door mat. Edition of 100. 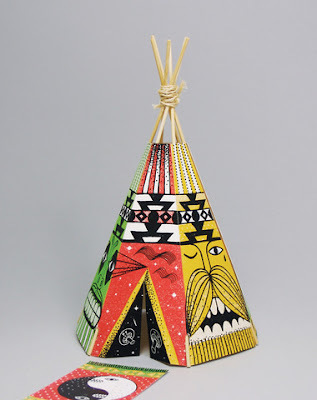 Shown here both available teepees. Nice. USD $45.